Hello my FAB peeps! Hope all is well on this beautiful Wednesday. Today I wanted to spread light on my first year teachers out there. As a first year teacher you can and will find yourself inspired by other teachers and professionals in your school. That's a FAB thing! I was so inspired 13 years ago my first year by my mentor teacher. THANK YOU NELL MUEHLBRAD! However, don't get caught up in trying to become them. 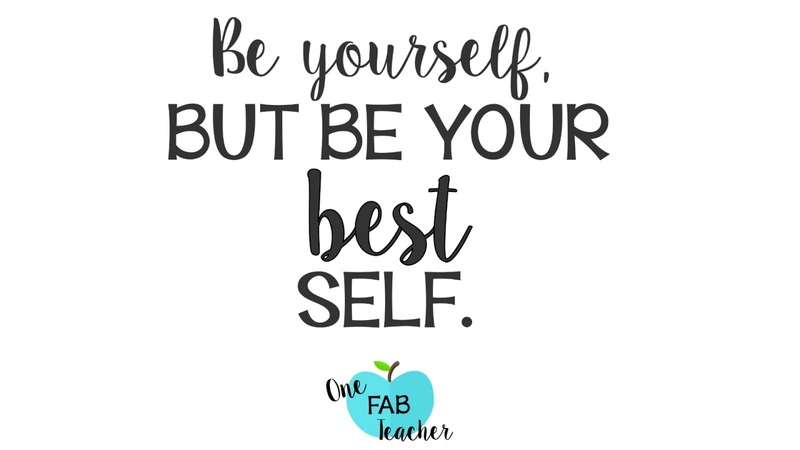 BE YOURSELF, BUT BE YOUR BEST SELF. It will take your education career so far. Just click on the video and see what I mean. Spread the word to other new teachers out there too. ((HUGS)) and Blessings to you all! I'm so glad glad I found you! I followed you on IG and you were like a breath of fresh air. I look forward to your blog posts.